Increasingly the developers of modern, sustainable housing estates have been looking at the longevity and performance of construction materials used on site. 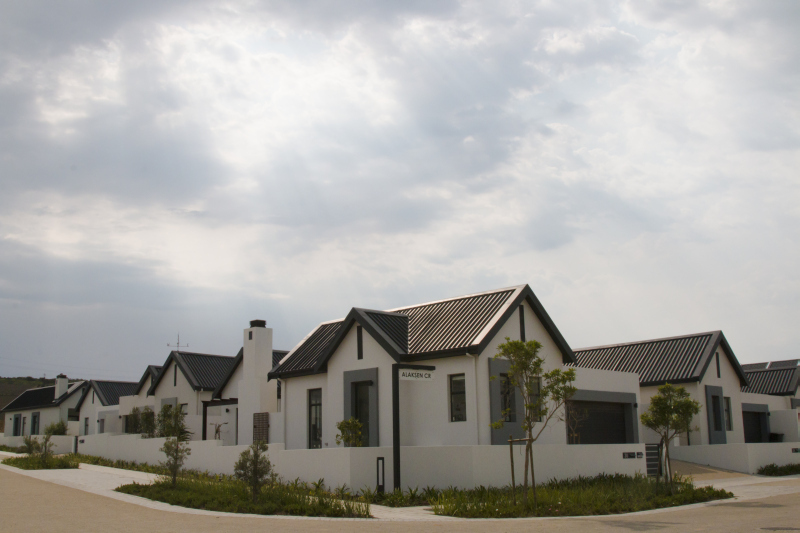 Sitari Country Estate is presented as “the art of country living”. According to the developers, UVEST, “olive groves, orchards, water features and landscaped gardens are subtly intertwined with a security system unparalleled in SA”. The estate offers 3 150 units of luxury and premium apartments, village and country homes, including a private school and shopping centre – a large built environment by any standard. However, the clever inclusion of green spaces in the habitat makes a bold eco-statement. Upmost in the mind of the designers was the impact of the development on nature and inhabitants. From the top, the steel roofs that cover most of the buildings are built to last. Well-known premium steel roofing material, Clean COLORBOND® Ultra Matt in AZ200 coating mass was specified by the project team and formed into the popular concealed-fix Diamondek by Youngman Roofing. “With excellent clipping performance, market-leading drainage capability and unique aesthetic appearance, this product gives outstanding performance especially when manufactured in BlueScope Steel’s Clean COLORBOND® Ultra Matt range,” says Stef du Toit, marketing manager for Youngman Roofing. However, another unique attribute of this product also makes it uber-important for housing developments of this pedigree. Clean COLORBOND® Ultra Matt presents diffuse reflection instead of specular reflection and minimises the high degree of gloss often associated with modern pre-painted steel roofing. The roof is this photograph is diffuse-reflecting the rays of the sun but does not exhibit annoying glare. Arno Hanekom, BlueScope’s regional manager for Africa, manufacturers of Clean COLORBOND®, points out that extensive testing and benchmarking was conducted before recommending Clean COLORBOND® Ultra Matt to the developer, UVEST. “Modern pre-painted steel roofing can have a high degree of gloss caused by the specular reflection of the sun’s rays off its surface. In an eco-sensitive environment this often causes a problematic glare which is also disturbing to residents. Our Clean COLORBOND® Ultra Matt offers a high-tech and elegant solution to this problem presenting diffuse not specular reflection reflection, while ensuring that the same amount of inbound infrared is reflected off the roof. This keeps the building as cool inside as with our standard range. Tests done on site prove this. 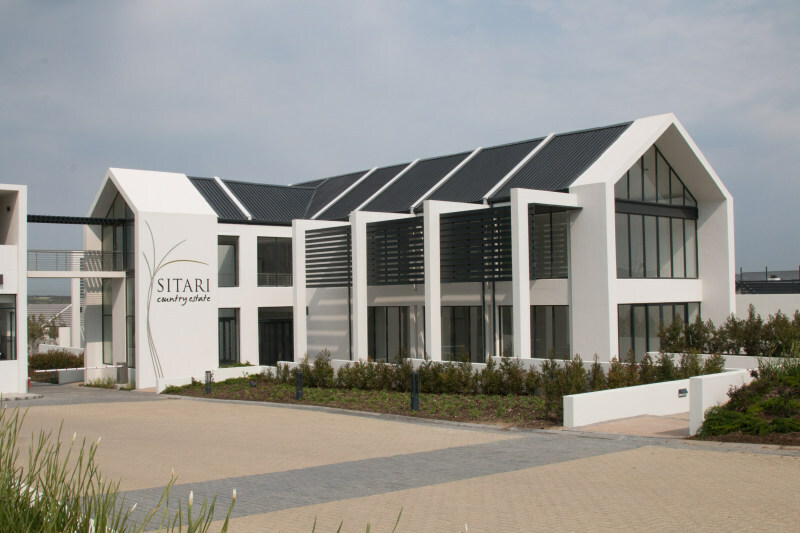 Caption main image: BlueScope conducted extensive testing and benchmarking before Clean COLORBOND® Ultra Matt in coating mass AZ200 was recommended to the developers of Sitari Country Estate.